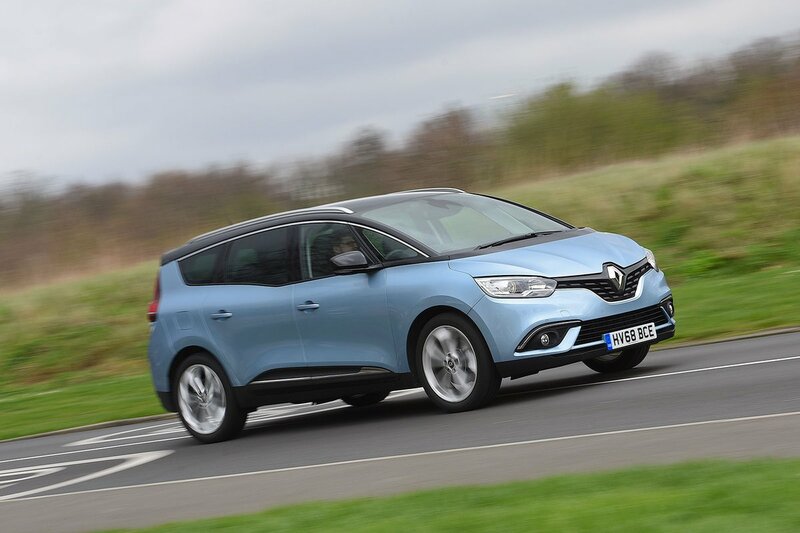 Renault Grand Scenic Running Costs, MPG, Economy, Reliability, Safety | What Car? The Grand Scenic is pricier than the Citroën Grand C4 Spacetourer and comparable to the Volkswagen Touran. That said, it comes with a high level of standard equipment. 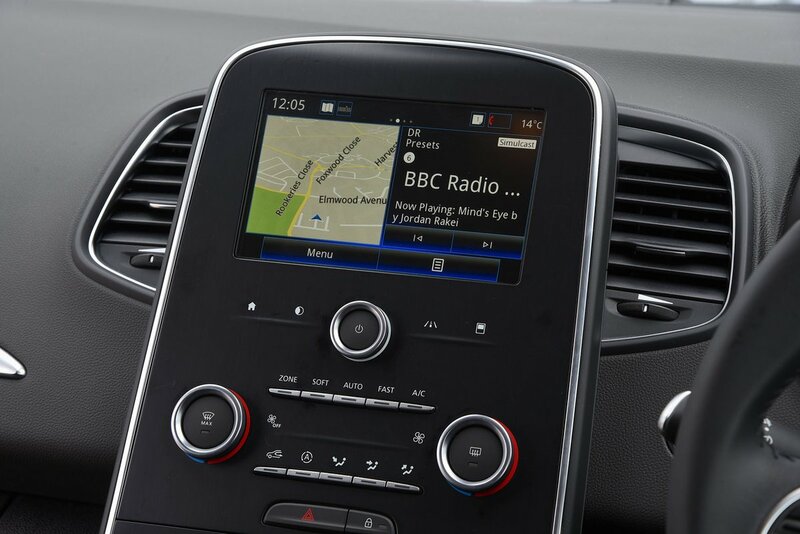 All but entry-level Play models get sat-nav, while Apple CarPlay and Android Auto smartphone mirroring comes as standard on all models. Top Signature trim gains a larger 8.7in touchscreen (over the Play and Iconic’s 7.0in system), along with a more powerful Arkamys stereo, but is ultimately too expensive to recommend. 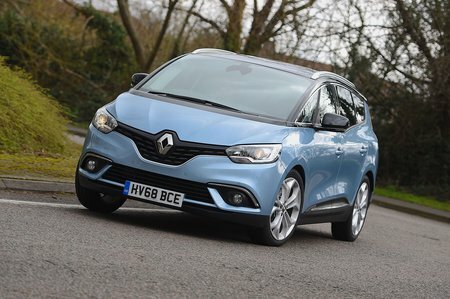 Renault came in just below average in the 2018 What Car? Reliability Survey, and the brand's three-year/60,000-mile warranty isn't exactly the most generous in the business. It’s also worth noting that the Grand Scenic loses value faster than the Grand C4 Spacetourer and Touran. All Grand Scenics get automatic emergency braking, lane departure warning and forward collision warning, as standard. Rear parking sensors are also standard on the base car, but if you want front and rear parking sensors and a rear camera, you need to step up to range-topping Signature. In terms of safety, the Scenic scored well in its Euro NCAP crash test in 2016, gaining a full five stars and performing particularly well in the adult and child occupant protection categories (scoring 90% and 82% respectively). Security experts Thatcham Research also awarded the Grand Scenic five out of five for safeguarding against being stolen, and four out of five for resisting being broken into.